Chadwick Arboretum & Learning Gardens has a broad range of volunteer opportunities for gardeners of all experience levels; those interested in event planning and management, social media, and marketing; educators, artists, and computer gurus, to name just a few. Commitments range from a few hours on a single project to year-round participation. Although there are many behind-the-scenes activities to do over the winter, most garden-related volunteer opportunities begin in March and end in October and our gardening sessoins are held in the mornings, Monday – Thursday during the growing season. The following list includes many of the volunteer opportunities available along with contact information and typical meeting times. Session leaders (as noted below) maintain email lists of volunteers that have expressed an interest in working in that area. Each week the session leader sends out an email letting people know if, when, and where the group is meeting. For each area you are interested in, contact the session leader and ask to be added to their volunteer email list. Note to Franklin County Master Gardeners: Each year, Master Gardener Volunteers can count 10 hours of Chadwick Arboretum work for activities that are not listed on VMS. The arboretum activities listed on MGVMS (Master Gardener Volunteer Management System) are noted below. 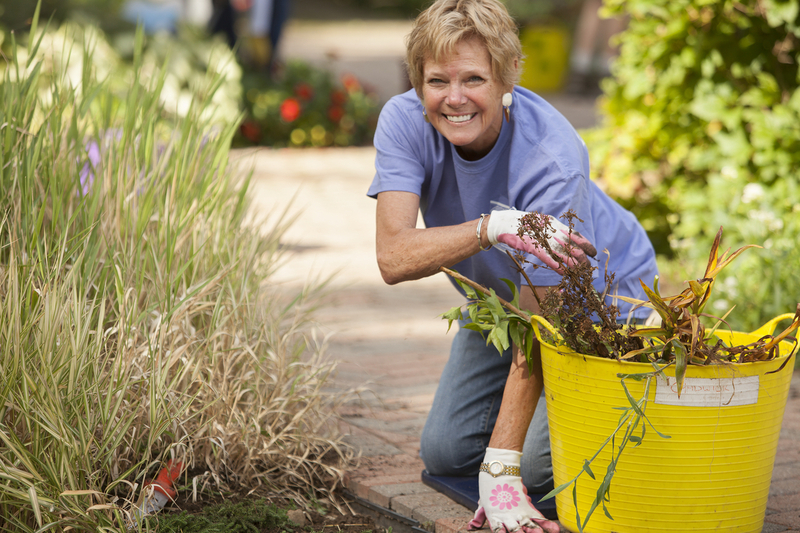 Volunteers will provide garden maintenance, seasonal color changeouts, and curation of our Van Wade Hosta Collection; Forget Me Not Garden, Labyrinth Garden, Lane Avenue and Fyffe Road corner, and trellis entrance gardens. Horticulturist Pam Poeth, and Volunteer Cookie O’Neal will lead this effort. Volunteers will install, maintain, and evaluate both the inground and container trials. Volunteers will provide garden maintenance in this highly visited site. Volunteers will focus on maintenance of Conifer Collection, Olentangy Corridor, Rian Garden, and Phenology Research Garden. Volunteers will maintain the herbaceous and woody collections in our highly visited Learning Gardens. Inventory, Mapping, and Labeling of our Plant Collections: Friday, 1:00 p.m. – 3:00 p.m. This group works in all of our garden sites to verify plants in our collections by inventorying and mapping our collection. This group also prepares and installs accession tags and labels. Plant identification skills and attention to detail are preferred.